The gardener's and chauffeur's cottage at 'Portledge', the Charles A. Coffin estate designed by Howard Greenley c. 1910 in Matinecock. Click HERE for more on 'Portledge'. Photo from the Annual Exhibition of the Architectural League of New York, 1914. 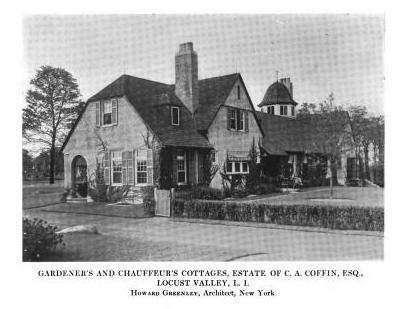 And Zach has just submitted proof that I cannot tell the difference between a stable and a gardener and chauffeur’s cottage. What next – am I not really helping an exiled king get he money out of Nigeria?